There are many good reasons to move your contact center from on-prem to the cloud. If you’re making the switch, take the opportunity to also upgrade your development processes and enable faster, higher-quality CX innovation. In the age of digital transformation, executives who manage customer experience, service channels, and customer journeys are planning to move from on-premise contact centers to cloud-based systems. The benefits of this migration include the promise of reduced maintenance costs, scalability, and compliance. A recent Dimension Data report underscores the trend. It found that, while 65 percent of respondents fully owned their contact-center technology, only 33 percent planned to stick with this approach. The other two-thirds of respondents said they are planning to move to a more flexible model — be that rented/leased, a hybrid of fully/owned and rented/leased, or cloud-based. Migrating your contact center to the cloud is a perfect opportunity to take stock of how the customer experience can be improved, and certainly many companies see the benefits of leveraging a cloud architecture to implement the latest technologies, such as AI and chatbots. But what about your legacy or existing infrastructure? For example, take a look at your current IVR. Maybe it’s a bit long in the tooth? Now is the perfect time for a refresh. Chances are it’s not well documented, so step one is to document your existing IVR. Technology can assist here by crawling your IVR, automatically documenting its current design, and enabling key stakeholders to contribute their input earlier in the design phase. To deliver on rapidly evolving customer expectations, CX technology teams are increasingly adopting Agile and DevOps methodologies. Agile development advocates adaptive planning, evolutionary development, early delivery, and continuous improvement—and encourages rapid and flexible response to change. DevOps is complimentary to Agile development. As its name suggests, it’s a blend of two disciplines to foster collaboration, communication, and cohesion among typically separate developer teams and information technology (IT) operations teams. As you refine your approach to the design and development of your customer-engagement channels, plan to automate how you test your CX. Functional, regression, and load testing can consume between 30-50 percent of the entire release cycle. Automation can reduce time to market, increase quality, and focus resources toward innovation rather than repetitive testing cycles. Whether you are using Agile or Waterfall, automated CX testing accelerates handoffs between development to operations to deployment while enhancing quality. The latest tools and approaches shorten software development lifecycles and enable early detection and rapid remediation of defects and failures that could disrupt the delivery of seamless customer interactions. Automated CX testing is a key enabler in Agile/DevOps environments. The second component is to monitor CX performance once it’s in production. This reduces frustration due to poor customer service experiences and ultimately leads to more efficient services. CX systems are complex, so monitoring from the “outside-in” and simulating customer journeys from the customer perspective is the best way to know if your customer experience strategy is being delivered correctly. This approach ensures the best customer experience possible by rapidly identifying and removing negative customer experiences as they occur. To ensure insights are actionable, they should be available in real time, and in a form and format that is easy to access and digest. Every executive responsible for driving a high-quality CX should be the first to get the “red alert” when any component in the CX ecosystem fails. But it’s not enough to just alert various stakeholders; alerts need to be connected to underlying data that can be quickly accessed to facilitate troubleshooting, so you can quickly resolve problems. If you’re making the transition from on-prem to in-cloud, you’re certainly in good company. To maximize the ROI of this move, you should apply Agile and DevOps methodologies to your CX development, and as part of that, embrace and execute a well-defined CX quality assurance strategy that includes test automation and monitoring. This holistic approach will enable your organization to quickly and thoroughly identify and resolve operational issues in your contact center, consistently deliver exceptional customer experiences, and thereby boost your brand’s customer value. 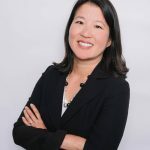 Linda Chen is the CMO of Cyara, the leading CX Assurance platform provider, whose mission is to help improve customer experience across the globe. She has 20+ years of marketing and leadership experience across a variety of top-tier multinational branded companies including GE, Procter & Gamble, Intuit, and other B2B enterprise SaaS companies.